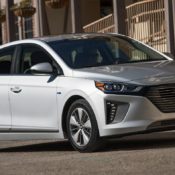 The unique and interesting Hyundai Ioniq Plug-In Hybrid enjoyed a successful first year in the U.S. market, and now the company has given it a bunch of updates for the 2019 modelyear to ensure that success will continue. These upgrades have mainly to do with improved safety and enhanced convenience. And that’s how it should be. You didn’t expect Hyundai Ioniq Plug-In Hybrid to get a facelift after just one year, did you? No, that will probably come next year. For 2019 the Ioniq will have to do with enhanced features, such as available Driver Attention Alert and High Beam Assist, a sophisticated server-based, natural-language voice recognition assistant, and standard remote charge management for Plug-in and Electric models via Blue Link. Meanwhile, the SEL trim gets standard Emergency Braking, Lane Keep Assist and Smart Cruise Control. As before, the party trick of Hyundai Ioniq Plug-In Hybrid remains the powertrain, which can be had in hybrid, plug-in hybrid and electric guises. The Hybrid Blue is a 58 mpg 139 horsepower unit, the plug-in hybrid a 160 horsepower unit that promises 29 miles of electric driving as well as 119 MPGe in EV mode and 52 MPG in hybrid mode, and finally the Ioniq Electric offers 118 horsepower, a range of 124 miles, and 136 MPGe rating. The latter has a single-speed reduction-gear transmission, while the hybrid versions use a a six-speed EcoShift dual-clutch transmission (DCT). 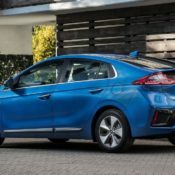 There are subtle visual differences between the various versions of the 2019 Hyundai Ioniq Plug-In Hybrid, but you’ll probably only notice them with the Electric model which has unique fascia and light design. 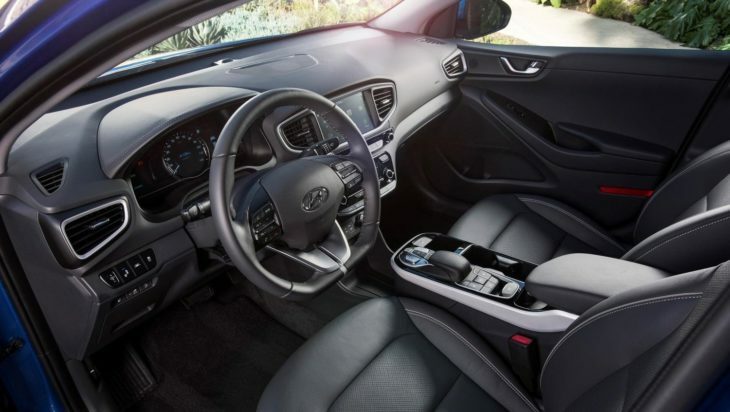 The Ioniq is also an environmentally conscious car inside the cabin, where it makes extensive use of recycled material. There is an efficient operation mode for the air con that minimizes waste and of course there is a top-notch infotainment with the latest connectivity features. 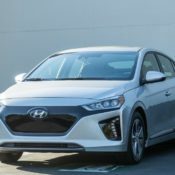 The post 2019 Hyundai Ioniq Plug-In Hybrid – Specs and Features appeared first on Motorward.